Shah Razen Said is key to DPMM’s hopes of an upset. 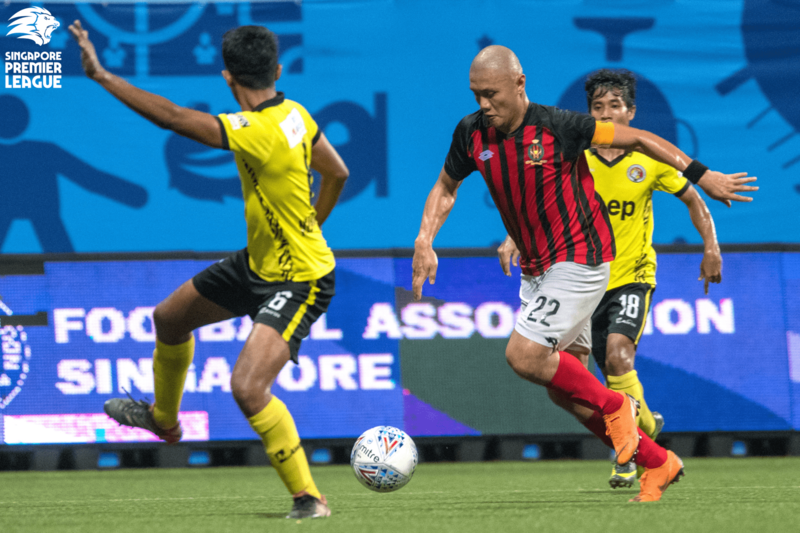 SINGAPORE, 4 OCT 2018 – Albirex Niigata FC (S) are looking for an unprecedented fourth straight RHB Singapore Cup triumph when they take on Brunei DPMM FC on Saturday evening at Jalan Besar Stadium. BACKGROUND The White Swans have won the Cup three times in a row and look set to retain the title, especially after going through the entire season unbeaten in all competitions. However, DPMM Head Coach Rene Weber is calling on his squad to create history themselves by winning their first Singapore Cup. “The opponents haven’t lost any games; they are three-time champions of the Cup but this is football, anything can happen,” Weber said. At the other camp, Albirex Head Coach Kazuaki Yoshinaga is refusing to take anything for granted despite his side’s unblemished record, noting that their opponents are enjoying a good run of form. “We do not think of any past records,” he said. “For us, what we achieved in the past remains in the past. Our players and ourselves will give our best. DPMM will have a largely full squad to choose from. Albirex will miss Taku Morinaga due to suspension, while Shuhei Hoshino is available for selection after returning from injury. With second top-scorer Morinaga out, club top scorer Hoshino is expected to return to the line-up. The striker will be looking for that one goal to take his overall tally to 20. Leading by example from the front is Shah Razen Said. He may not have scored as many goals as he would have liked this season, but he is still a threat with his masterful dribbling and direct runs. Albirex head coach Yoshinaga: “Our players showed their mental strength and other strengths to win their last game, we have one more game and we want the players to give their best and win the final. DPMM head coach Rene Weber: “We hope to win the final and write our history into the books. “Three days to recover before a match is tough, but it is tough for Albirex too. We must believe in more of our ability, and I hope to see that on Saturday. Get your tickets for the game at fas.org.sg/tickets and watch Albirex clash with DPMM at fas.org.sg/live2!